Cross over the Pacific Ocean, and enter China. It is there where you may find the 2014 Buick LaCrosse testing out in the open, away from keen American and European spy photographers. Despite this, the refreshed LaCrosse cannot escape the camera. And this time, it was caught running around stark naked. Found on AutoEvolution.com, the facelift resembles the kind of change we saw from the 2012 Buick Enclave to the 2013 model in both front and rear styling. In addition, a second spy photo reveals a slight interior nip and tuck, with the latest version of Buick IntelliLink gracing the center console via a larger center touch screen. And if we didn’t know any better, there appears to be some sort of touchpad just behind the cupholder. 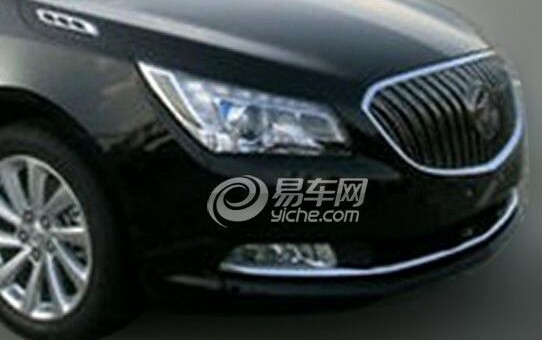 Perhaps we’re beginning to see Buick’s answer to Lexus Enform? As for what’s under the hood of the 2014 LaCrosse we can only speculate, but we don’t think it’s too much of a stretch to see the latest in GM’s eAssist powertrain, with a V6 remaining a no-cost option. It doesn’t look so bad when you see more of the side. But it’s probably a step backward; which is a shame, because the front was the LaCrosse’s biggest letdown, IMO. I don’t see this making much of a difference sales-wise. Front lights are similar to Cruze. The headlights look sharp I like how the LED lighting gives it a small sharp eyebrow over the headlights. I can imagine how it would look at night. A pair of intent, impatient eyes in your rear view mirror. I wish they would tone down the chrome, or switch to a gunmetal grey or black ice for trim, for a still classy but aggressive look. If I could re design the front I would bring the top of the grill in line with the LED “eyebrows”. That would make that great open mouth smaller. That would look better in my opinion as I am no fan of the waterfall. Yes, but are the front lights large enough? Wow, there is hardly any fender left on that. I like it. I don’t like cars that “squint” at me like how they wrecked the Mustang front and rear in 2010. Big features look bold. “…strange vents on the hood near the door pillars.” Those are the famous Buick portholes, but in a squared version. They may be functional as engine or wheel vents. I like the “Start” button. It is a new version of a very old idea, since the first electric starters used a “foot” button before the solenoid relay was added. I wish that the eAssist version has a more power holding battery, such that the electric motor can actually move the vehicle and allow slow traffic creeping forward without restarting the gas engine. I think it has kind of similar styling to an Opel. I think it looks bad. The last gen looked slick, and on par with the best of the Lexus if not Audi. This car looks cheap and worse than the new Impala. Also, I’d either go with the Opel grill/front facada used on Regal (Insigna) or go modern with the Waterfall–rakish, razor-like lines without any curve. I don’t see the current Waterfall as iconic, like the over-sized ports, and wish the Buick was willing to consider new options like has been done with the 2014 Mazda 6. I want Buick to more foreward but this will never happen with the brand trapped in a stylistic time-warp. I love! the Opel Cascada and think it should serve as a sort of new minimum benchmark for the brand because it fuses the best of traditional Buick with a future seeking Opel. I honestly think Buick, if managed correctly, could be every bit as strong as Caddy and in the process give GM two very different Prem cars. The back looks more like the Verano.